We stepped into the wiring market for a reason. To release what we feel is the highest quality and easiest to install conversion harness available. We’ve used several of our competitor’s harnesses and in short, we felt the need to make several improvements based on the flaws we encountered. Just like every other K-Tuned product, they don’t leave our hands unless we feel that it is a top quality part that we would use on our own personal cars. 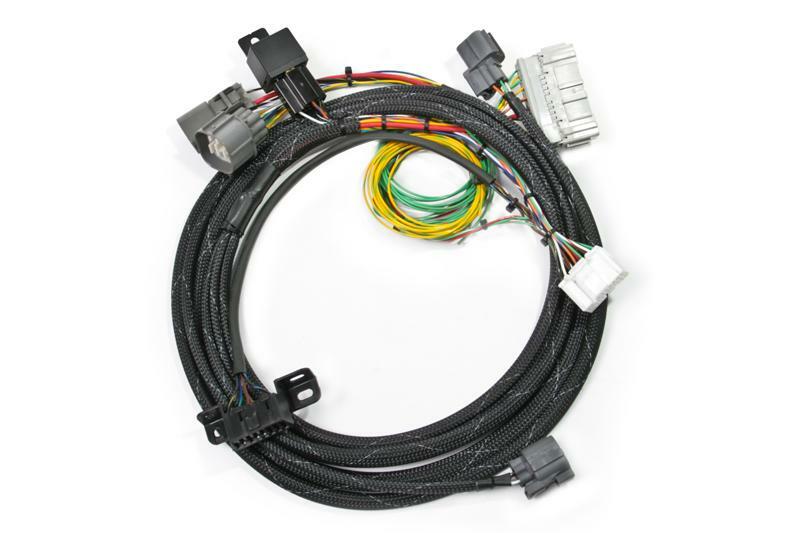 A K-swap conversion harness is a must-have part for any K-series engine swap. The harness is required to join up the factory K-series engine harness to the factory dash harness of the swapped car. It is designed integrate the K-series ecu and all of the related electrical functions get them operating properly. Functions like the fuel pump, tach, speedo, starter signal, O2 sensors, etc. The K-Tuned harness is 99% plug and play and takes very little time to install. The harness is constructed with quality mil-spec spec, oem colored wire and finished with a nice clean looking mil-spec nylon sleeving for protection. Our harnesses come complete with installation instructions and a very cool wire cutter / stripper tool. The end result is a very high quality conversion harness at the best possible price. Several applications are available so get yours to make sure your K-swap is wired up right!